If you have an ecommerce website, you have probably heard of search engine optimisation (SEO) and know that it’s important for your website. If you have an ecommerce website, you have probably heard of search engine optimisation (SEO) and know that it’s important for your website. But what does it do? Why is it important for your ecommerce website? And how do you get started? The first thing to understand is what exactly SEO is. You have probably used a search engine like google to find an answer to a question you had, or to find something you were looking for. SEO can impact where your website appears when a search engine looks for results. If you’re not appearing under search terms that are relevant to your ecommerce store, you will be losing a lot of potential traffic and new customers. By optimising your website for SEO, you are effectively telling search engines what your website is about and what it sells, so that there is more potential for your website to be listed in the results when someone is searching for what you sell. The key to doing this is keyword research, so that you have a better understanding of the terminology your potential customers are using to find the products you are selling, and so that you can match up your website. Over time, this will help users find you more easily because the search engines will understand what your website is about so that you will get included with relevant search terms. 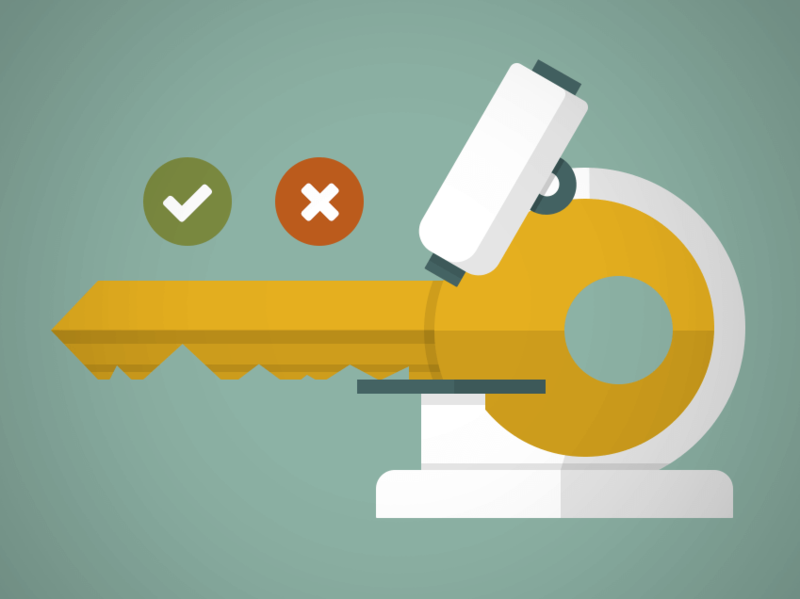 Why is keyword research important for your ecommerce website? Each time someone types something into a search engine, the search engine has to decide what the most relevant results are for that specific query, ranking the pages from most relevant, to least relevant. With thousands of potential websites, it is important that your business shows up somewhere in the results. This ranking is done by an algorithm that looks at the keywords being used on a website, so it’s important for it to match up keywords from your website, and the search terms that have been typed into their search bar. For your site, it is better to show on the first page, but in an ideal world, you need to be showing in the top 10 (ideally position 1, 2 or 3), because the amount of traffic you receive will be much less if you are showing further down. A study completed by Ignite Visibilty in 2017 shows that the higher the position of your website in a search engine, the higher the click through rate. A click through rate (or CTR) is when someone actually clicks through to your website from a link, and in this case we are talking about Google and the positioning of your link on the search results page. If you are in position one, 20.5% of all of the people who see your link will click through to your page from Google. The first three positions take up almost 50% of the traffic combined, and the difference between percentages of click through's on position 1 and position 4 is almost half, so it makes sense that you would want to try to position your brand in the top three so that you benefit from the potentially high click through rate. If you are lower, than your business is potentially losing out on revenue. Keyword: A keyword is a word or phrase that describes the content of a page or a website so that search engines understand what your website is about. It enables the algorithm of the search engine to match different search terms to a website. Long tail search: This sounds more complicated than it is - it’s a set of three or more keywords put together to form a phrase. Long tail search is the most important because more than 70% use this when they are searching for something in a search engine, rather than one or two words. This also means they are further in the buying cycle, because their query is more specific so more likely to result in a sale. Paid search: A paid advertisement that appears at the top of a search engine’s results before the organic search terms. Organic search: Listings on search engines based on the relevance of the search term as opposed to a paid advertisement. Ranking or search ranking: This is your position that you appear at when google completes a search for a keyword or phrase. Search volume: The volume of searches is usually measured by a monthly average of the number of searches that have been made. The total monthly searches of each particular keyword or phrase is known as the search volume. Ideally you want to find the search terms with the most search volume, but with low competition because then your keywords are more likely to get you into the first, second or third positions on a search engine. The higher you rank the more traffic potential you have and the more likely it is that someone will buy from you. Because every site is different there is no rule for the correct amount of search terms there are for your site. There are 7 steps to doing keyword research, and along the way it is best to create a big list of potential terms. Once you have your list (using the methods below), you will need to refine it, and work out which keywords will work best for your site using google keyword tool planner, and then optimise your website to reflect those keywords. Brainstorming is one of the easiest ways to come up with ideas for keywords for your site. Think about what your customers might type if they were looking for your store, and what you would type. You could even ask your friends to write down what they would search for to get more ideas. Each keyword should be two words or more, and you will need to make sure that you have some long tail search terms as well (phrases with at least 3-5 keywords in them). Don’t forget to include ‘How can I’ or ‘where can I’ etc. as someone might not necessarily be looking for a specific item, they might be looking at how they can make a wedding dress, for example. The more keywords you have to start with, the easier the research will be. This is one of the quickest and easiest ways of getting more keywords for your potential list. All you need to do is go to Google and type one of your search terms into the search bar without pressing enter. There you will see some of the most commonly searched for phrases. In the example below the phrase ‘wedding dress plus size’ has been used. Once you have collected the relevant autosuggest examples, then press enter to search, and go to the bottom of the page to see more suggestions. If they are relevant they should be added to your list. KW finder is good for finding long tail search terms for your website, and ranks each phrase by difficulty level (difficulty level being how easy it would be to rank on a keyword)- assuming that the more easy a search term is, that it should go on your list. With this, it’s a good idea to sort either by search volume, or difficulty. For the example I have sorted by difficulty level. If the number is green, and the search volume is high, then the keyword should be added to the list. Keyword tool is particularly good because it covers YouTube, Bing, Amazon, eBay and the app store, which will enable you to get more results for your keyword research. To use Google keyword planner you will need an Adwords account, which is completely free. Once you have logged in, you need to go to the keyword planner, which is under settings. On the following screen you need to click on search for new keywords using a phrase, website or category. Once you have clicked on this, you can use your list of keywords you already have, and type them in individually. Make sure you are targeting the country your ecommerce store is in, and decide whether you want to see more broadly related search terms. When you click on Get Ideas, you’ll be taken to the next screen. You are looking for something with low or medium competition, and a high number of average monthly searches, so you can add that search term to your list. If you’re trying to rank for a search term that there is too much competition for, then it could be a waste of time (particularly if the market is already saturated.) The best situation is that your keywords have a high search volume but low competition. It’s important to understand that Google’s tool only takes into consideration paid keyword research and not organic search; which is why you need an active Adwords account in order to see more specific Avg. monthly searches. In the example above, one of the potential keywords for wedding dress is pretty wedding dresses, though the search volume is low. Bridal shops would be a better keyword, because there is less competition and more searches. Once you have a complete list, it’s time to go through it and make sure that you’re using the most relevant for your website. Use Google keyword planner to make sure that the final list is only keywords that have low to medium competition and high search volumes. If it isn’t, remove it from your list, and anything you think might not be as relevant as you had originally thought - for example, if someone were to land on a specific page of your website for that particular term, is it exactly what they are looking for, or only loosely related? In the end you should be looking for between 5-8 main keywords and 6 or 7 more broad terms. Because all of the methods above only take into account paid search, and not organic search, you should do a quick check in Google and Bing to see whether the top results are worth trying to beat. If they are big brands, then it might be better to choose different keywords. If they are fairly small websites then you should keep that keyword. In the example below, the first organic result on Google is Brides of Sydney. The first organic results on Bing for the same search term is Sheindressau. Then you would make a judgement call based on whether you know who these companies are (if it’s a household name, then probably time to ditch the jet, or if you don’t you can double check by looking at Similarweb to see an estimate of their traffic. If it can’t give you any data, then it is usually a safe bet. If there are millions of visitors, it’s probably time to ditch that keyword. Now that you have your keyword list, it’s time to utilise your list and use them throughout your website so that the search engines understand what exactly your website is about so that you show up for relevant results. This way you will start to rank in the search engines, and then you can try to make the most of the potential traffic that you can get from these terms. Keyword research and SEO can definitely be a time consuming job both to find the keywords, and to start ranking in Google or Bing - you need to be patient, and review your keywords periodically to make sure that you aren’t missing out on any new keywords that appear. However, it is definitely worth it in the long run if you get more traffic and conversions for your ecommerce website. Did you enjoy this article? Don’t forget to share. Learn from the founder of Increasingly, Sri Sharma about the benefits of AI to increase sales and how Increasingly can help grow your AOV by 12%. With Google Tag Manager, marketing executives are no longer at the whim of developers. Here's our guide to how you can use Google Tag Manager. Old school bricks and mortar stores continue fighting the transition to online with fierce conviction. Copyright 2011 - 2018, Commission Factory Pty Ltd | ABN: 15 149 765 631. "Commission Factory" is a trademark of Commission Factory Pty Ltd.